Welcome to Binding your Account 101! As of April 2014, Underworld Empire has integrated Game Center for all character transfers and retrievals. When you go to "Character Transfer" you will likely see the Game Center login screen if you're not already logged in. We switched our character binding system to Game Center because it is a lot simpler than the email system. If you are logged currently logged into Game Center with your Game Center ID then you are good to go. There is no danger of misspelling your email address or losing the email with verification code. Step 1: Make sure you are logged into the game center App by going to your device's Settings, tapping Game Center and log into your Game Center ID. Step 3: You are done. Every time you log into Underworld Empire, you will be greeted by Game Center with a "Welcome, "your Game Center ID"
Step 1: Make sure you are logged into the game center App by going to your device's Settings, tapping Game Center and log into your Game Center ID you originally used to bind the account. Step 2: Go to the "More" tab in Underworld Empire by clicking the gears on the bottom left of the game's home screen. Step 3: Click the option that is titled "Character Transfer." Step 4: Find and tap your desired account. How many characters can I have bound to a Game Center ID? You can have a maximum of 5 characters bound to a Game Center Account. What happens if you want to bind a 6th Character? You will get a popup that allows you to remove one of your previously bound characters from the binding. If you choose the popup, your current character will remain unbound [unplayable]. Google Play should work a lot like Game Center in respect to player accounts and binding/retrieval process - you need to log into Google Play AND Google Play Games to bind your account. Step 1: Tap on Google Play Tab from Google Play App. Step 4: Should Sync to current UE Account(s) (it will ask you to confirm the choice). Step 5: Should give a notification of "Signing In" at the top and take you to a choice screen of "Achievements" and "Sign Out". Step 6: Tap on the red "x"
Step 7: Account can be confirmed to be "BOUND" by tapping on Character Transfer Tab near the bottom. These instructions do work as long as the account was originally bound with the Google Play account that was originally used. 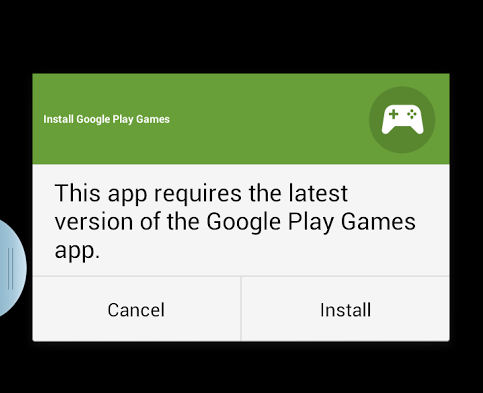 8/13/2015: Android bindings require the usage of Google Play Games, a completely separate App to the Google Play Store. Please make sure to use that App as well. - You can sign back in using the same account originally established OR use another Google Play account by following above steps. - The Character Transfer Tab functions the same way as iOS in having multiple accounts tied to the Google Play Account you establish it on. - Uninstalling the App does NOT affect the loss of the original account established on the device.